Our family LOVES to go to Hawaii!! What’s not to love….sand, sun, a warm breeze, pineapple…But Hawaii can be rather expensive. Recently, we have gone to Oahu as we’ve found much cheaper and more convenient flights. We’ve also found the food and accommodation to be much less expensive that many of the other Hawaiian islands. However, we are not into the over “touristy” vacation. Here are our favorite picks for enjoying Oahu, local style! We like to stay away from the hustle and bustle of Waikiki. We have stayed on the east side of the island in Kailua. http://www.aloha-hawaii.com/oahu/kailua/ The beach there is incredible. It is only 30 min. from Waikiki and boasts 2 miles of white unspoiled sandy beach. Lanikai, next to Kailua, also is a beautiful, quiet spot with about a mile of sandy beach. Accommodation on this side of the island is mostly bed and breakfasts and private homes and suites. Your best bet is to check out www.vrbo.com One thing to note is that this side of the island gets much more rain that Waikiki and the western side of the island. But, the east side of the island is extremely quiet, economical and you get a real taste of island living. Kailua is fantastic for boogie boarding and kite surfing. 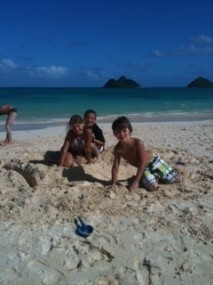 The kids on Kailua beach. Stunning! Because of the weather, we have recently stayed a couple of times on the west side of the island in Ko’Olina http://www.koolina.com/ It is only about 30 min. from Waikiki in good traffic (up to an hour during rush hour). It is about a 40 min. 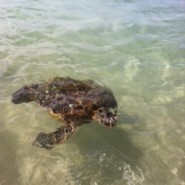 drive from Kailua…so that makes an excellent day trip! Ko-Olina is primarily a resort area with 4 protected lagoons. The lagoons are very safe for swimming. 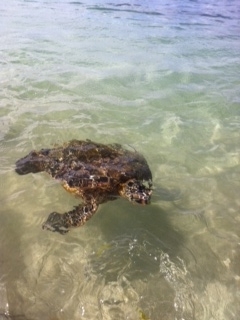 There is one natural lagoon right close to Paradise Cove where you can swim with turtles! We have rented a couple of different villas in the Ko’Olina Beach Villas http://www.koolinabeachvillasresort.com/ The Ko’Olina Beach Villas are ideal for families. You can rent two or three bedroom condos. There are two pools and you are steps from the beach. Every condo is finished with top of the line appliances and finishes. 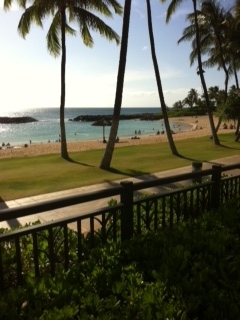 You can also rent Ko’Olina Beach Villas privately and more economically from www.vrbo.com. Disney just opened up the Aulani Resort. It was being built the last time that we were there, so I haven’t actually walked through it. http://resorts.disney.go.com/aulani-hawaii-resort/ And Marriott has a time share resort that you can also rent villas at http://www.marriott.com/hotels/travel/hnlko-marriotts-ko-olina-beach-club/ There is a Costco located about 8 min. down the road in Kapolei, so you can buy groceries for a great price (not often easy to do in Hawaii!). The North Shore has a very laid back vibe and you really get the feel of the surfing lifestyle. Homes are the best bet for accommodation here. One thing to consider is the time of the year. During the winter months, the surf on the North Shore is extremely strong and may not be suitable for children to swim in. So, do your research in advance. Again, most places on the island are not more than an hour away no matter where you stay. It’s worth a day trip to check out Waimea Bay in the winter months to watch the surfers, but prepared to just watch as lifeguards spend hours over the loud speaker heckling parents that don’t heed their warnings and allow their kids to even get their feet wet! It’s fun to explore all of the surf shops in Haleiwa as well. 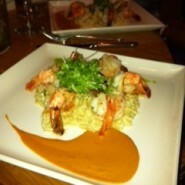 For a nice dinner and fresh seafood, I recommend Roy’s (808)676-7697. Roy’s is located on the golf course at 92-1220 Aliinui Drive. 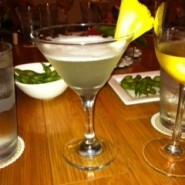 It is within walking distance of the Ko’Olina resorts I have mentioned. 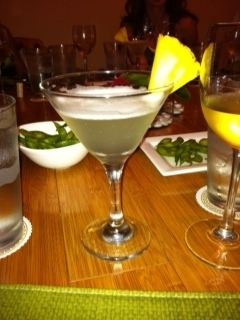 Plum Picks –The Original Hawaiian Martini….so good, lots of pineapple flavour! 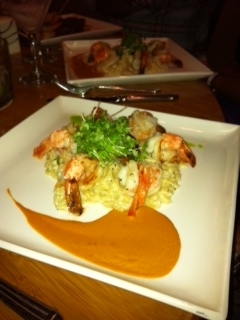 Mac and Cheese Orzo – ask for it as your side! Anyone who knows me knows that I LOVE frozen yogurt. There is a Menchie’s Frozen Yogurt in Kapolei next to the Target. Lots of serve yourself flavours and toppings! Plum Pick – #4 – that’s really all you need to know! It’s a roast chicken sandwich on a hotdog style bun with honey mustard, topped with melted cheese. A must stop is Ted’s Bakery! 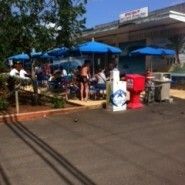 59-024 Kamehameha Highway Sunset Beach http://www.tedsbakery.com/ It’s a hole in the wall and you’ll miss it if you are not looking for it! 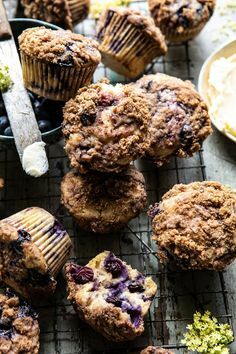 Everything is baked fresh. Be prepared to wait in line, but it’s worth it. It’s extremely laid back with tables outside, but take away is a good option too. Plum Picks – Crab and Bacon Sandwich….it’s big enough to share! 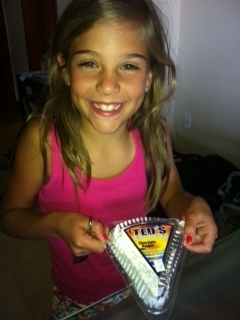 Haupia Pie….chocolate and coconut cream pie…they are famous for it! 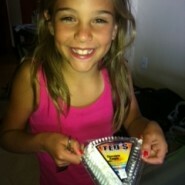 Ted's haupia pie. Dylan's fave! 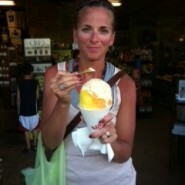 Best shave ice on the island…Matsumoto’s. http://www.matsumotoshaveice.com/ It’s also in Haleiwa. Be prepared for line ups. 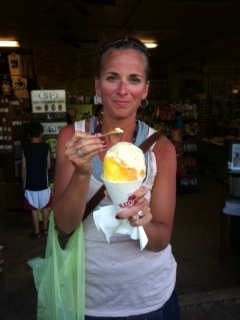 Laurel enjoying shave ice with condensed milk! Plum Picks – Shaved Ice with Sweetened Condensed Milk on Top! 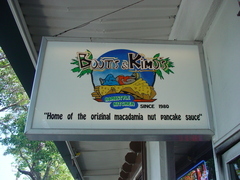 You MUST have breakfast at Boots n Kimos 151 Hekili Street, Kailua, Oahu, HI (808) 263-7929 Again, another hole in the wall. The line ups are crazy (can be 3 hours long), but you can place and order and come back and pick it up later. The beach is only a 5 min. drive from there. Plum Picks – The Macadamia Nut Pancakes are to die for (and I don’t even like pancakes). 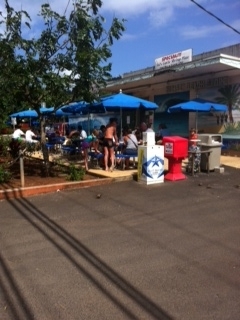 If you are going to beach it at Kailua for a day, you need to stop in at the Kalapawai Market http://www.kalapawaimarket.com/ . You can access it from the beach. If you are in Kailua on a Thursday night, there is a farmer’s market from 5-7pm by the Walgreens in the covered parking lot. There is a lot of produce to purchase, fresh flowers and local food. 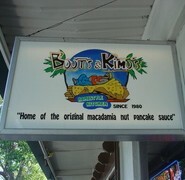 In Waikiki, there are a few chain restaurants that I would recommend.. Cheesecake Factory http://www.thecheesecakefactory.com/ – go early! The lineups are nuts! Featured on Diners, Drive-Ins and Dives with Chef Guy Fieri…. Waikiki: 2330 Kalakaua Ave, Honolulu; 808-532-4265 www.hankshautedogs.com I’m making it a point to get there next time we visit. Fat Dog…hot dog wrapped in bacon and deep fried! And of course, my beloved Yogurtland 2490 Kalakaua Ave, Honolulu (Waikiki). I hope you enjoy Oahu and please let me know your thoughts or comments or reviews if you have visited any of these places as we like to keep our information current!